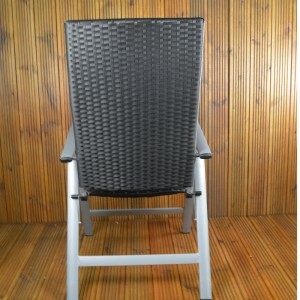 The Summer Terrace Lisbon set boasts 6 hand wovend wicker folding chairs with multi positions, the chairs can be left out in any weather and are light but durable, the table, also weather resistant is 150x90cm and has a tempered glass top with parasol hole. 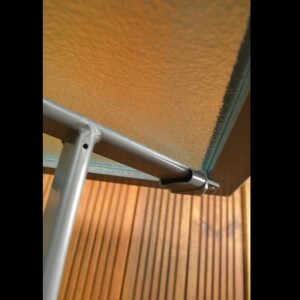 The set is accompanied by a 2.7m black parasol and concrete base. 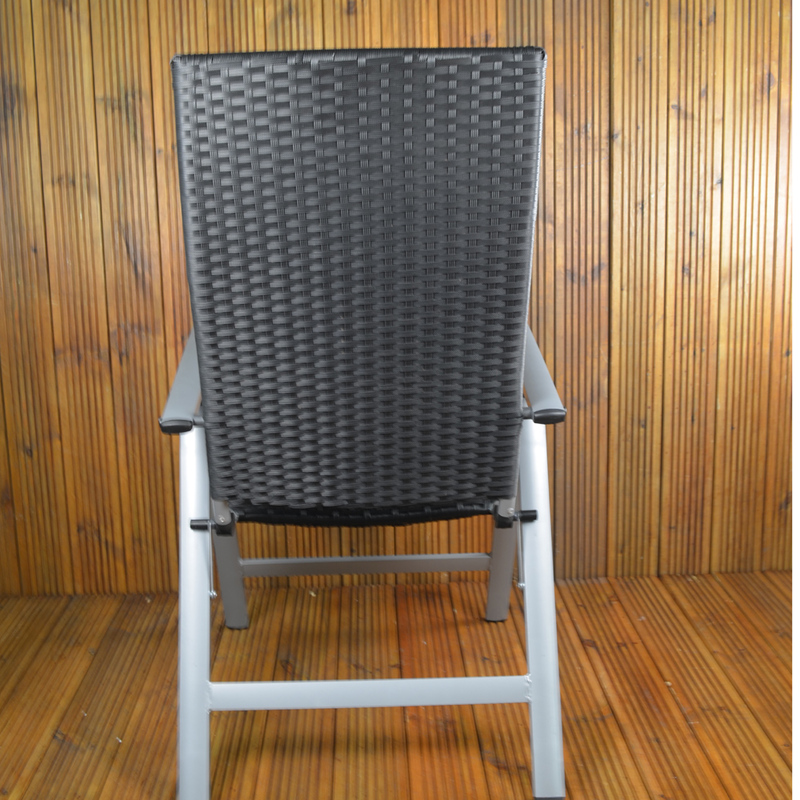 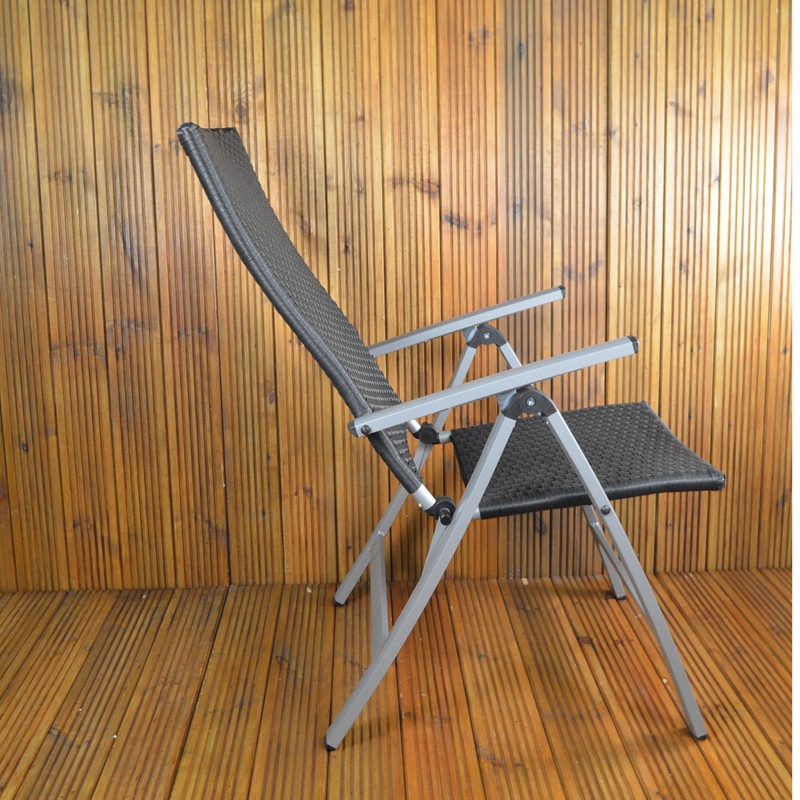 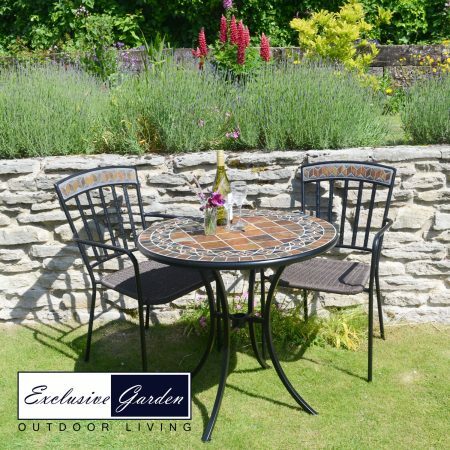 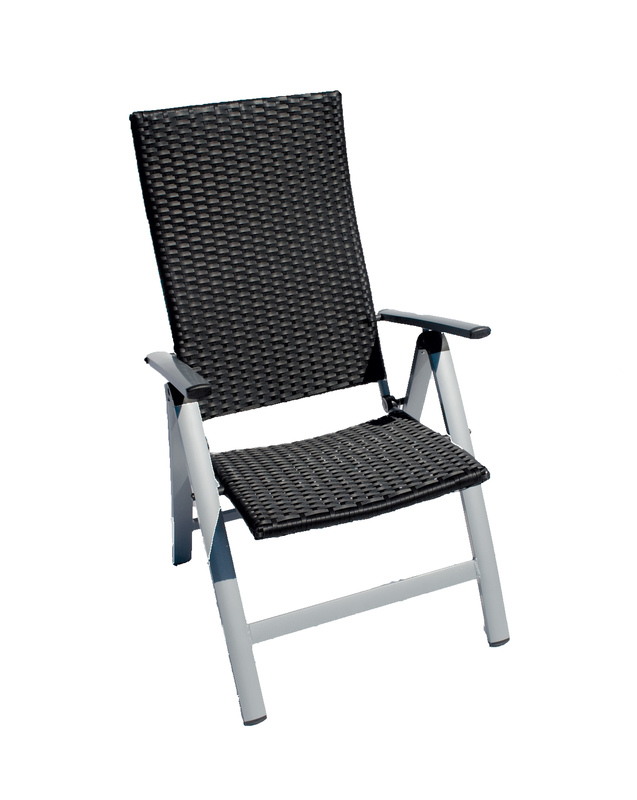 The Lisbon Rectangular Wicker is a sturdy aluminium framed set. 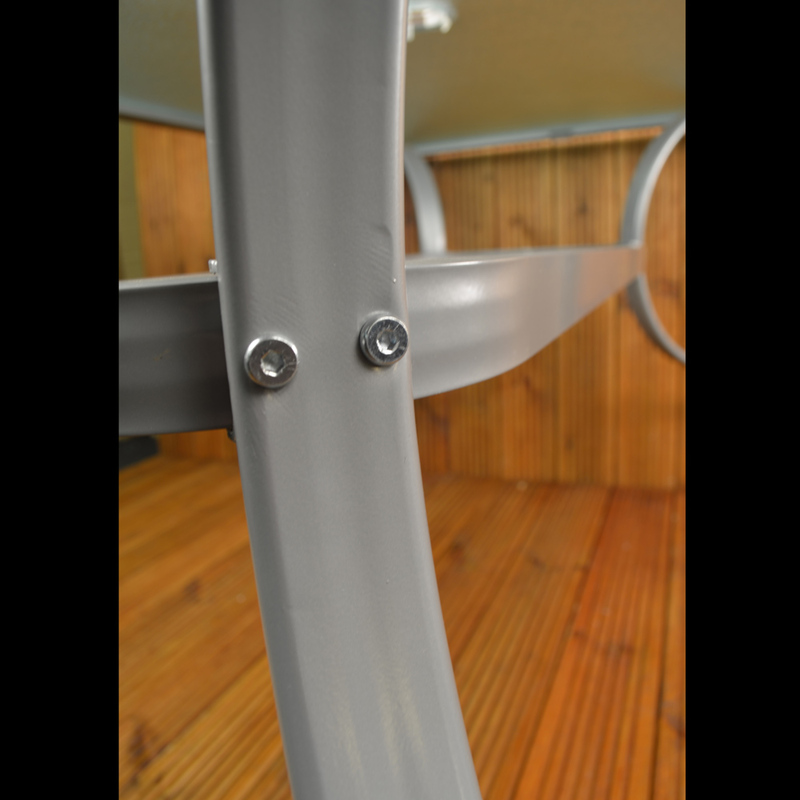 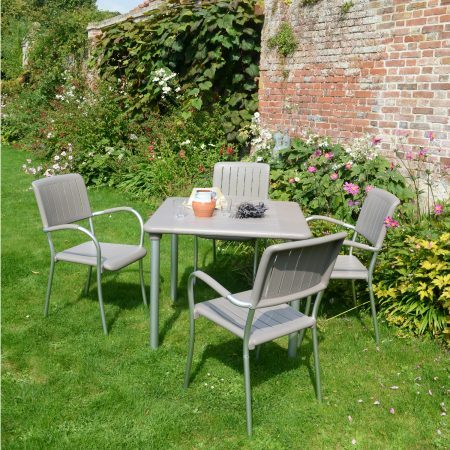 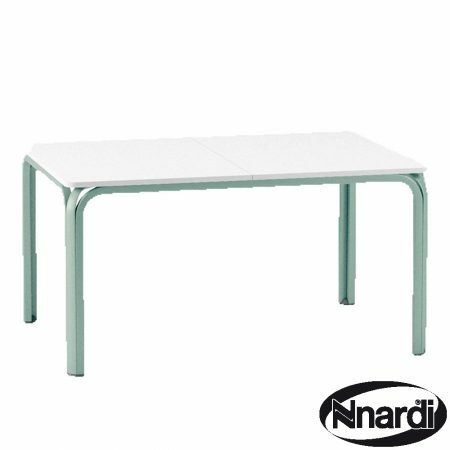 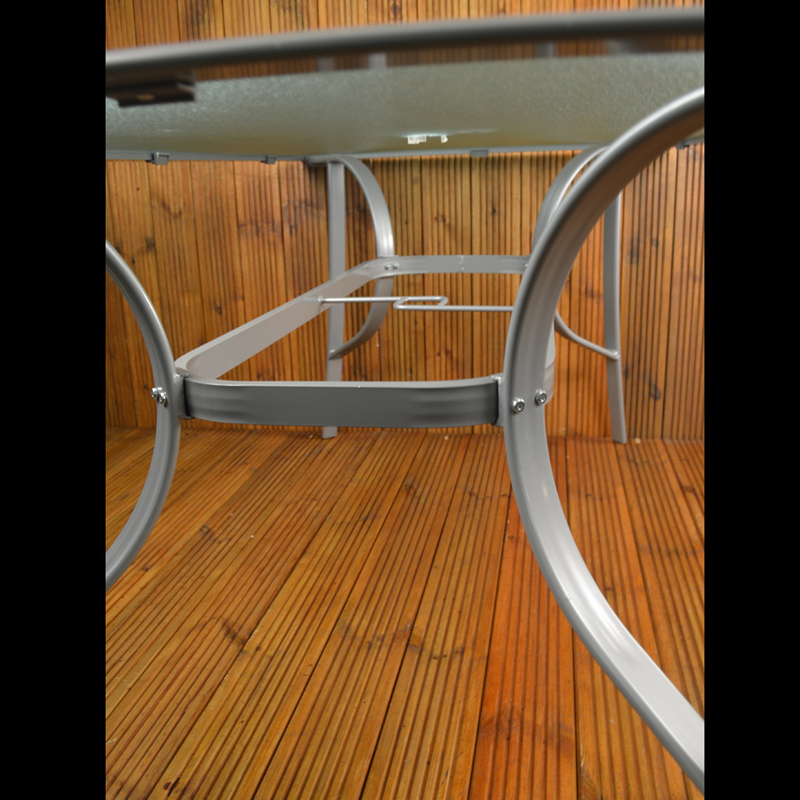 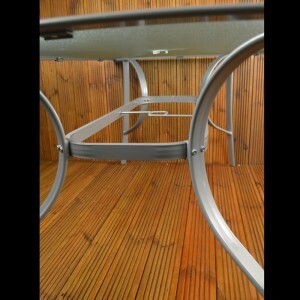 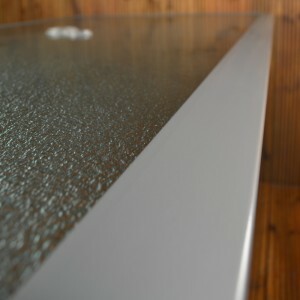 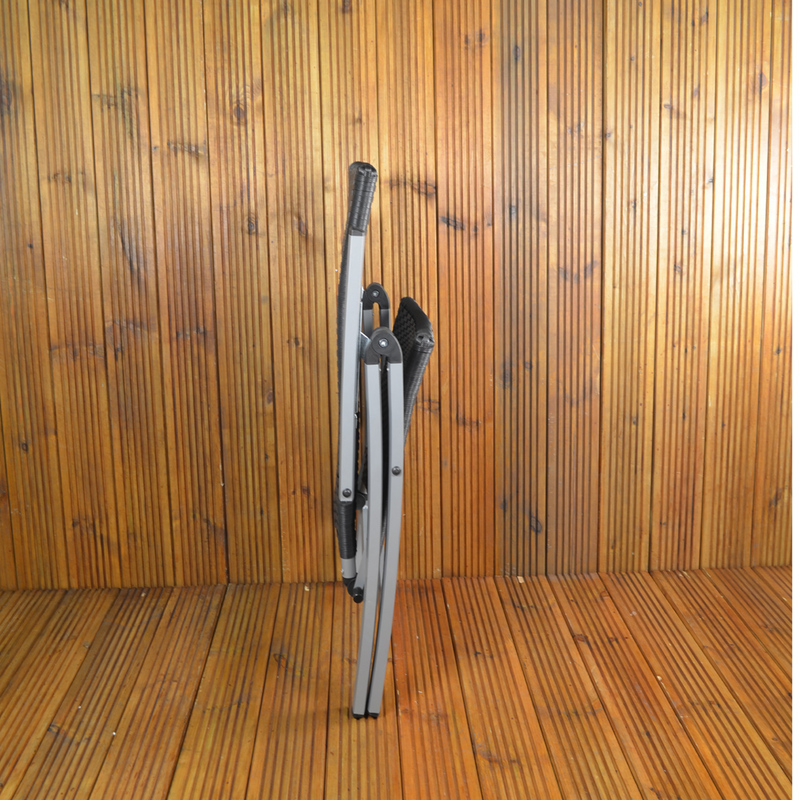 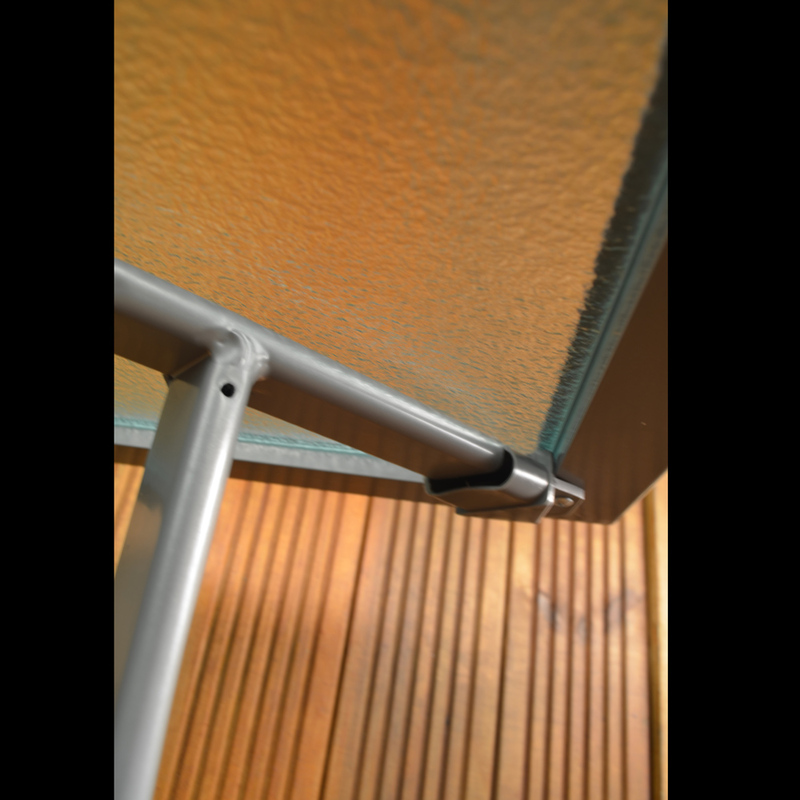 The table frame and chair frames are powder coated in a silver-grey colour, and being manufactured from aluminium can’t rust. 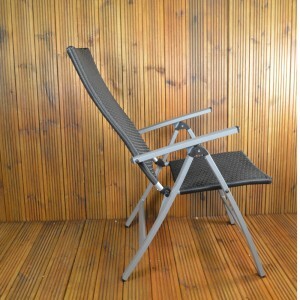 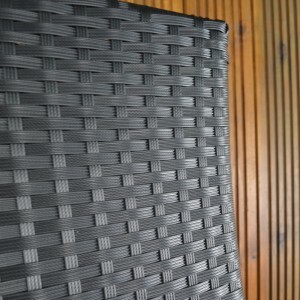 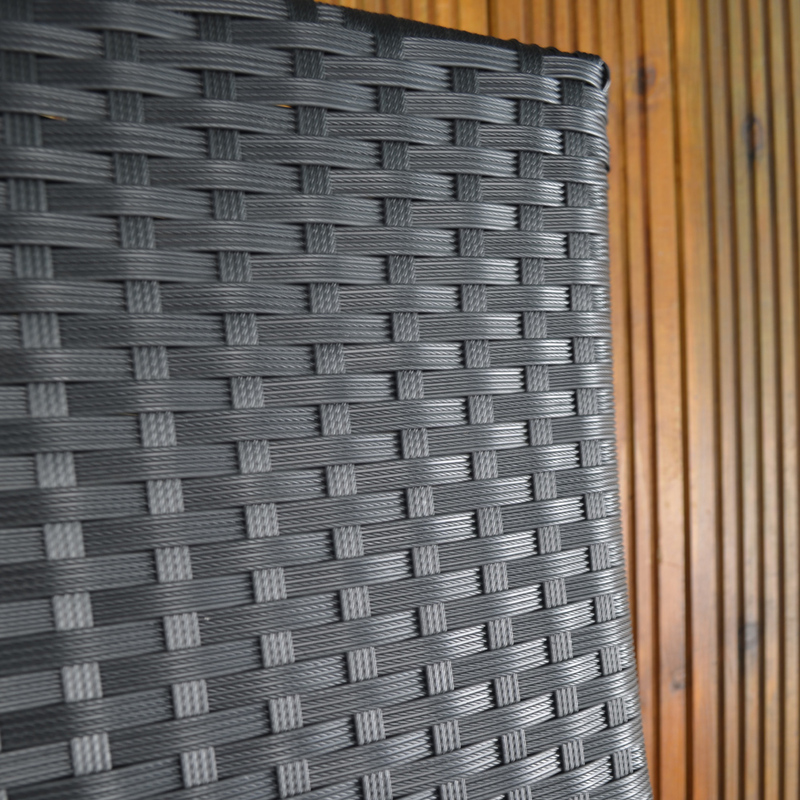 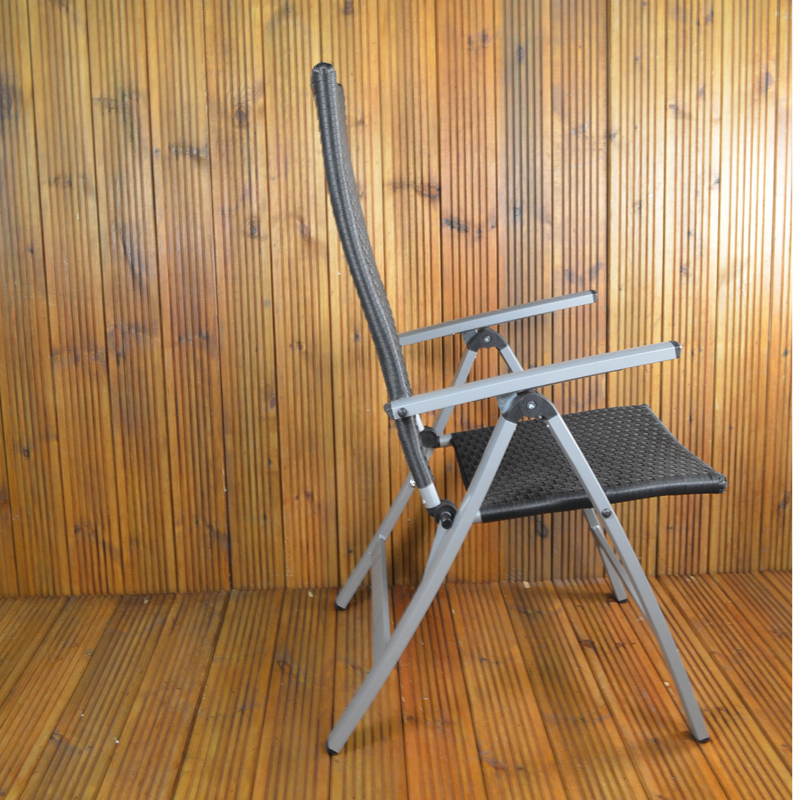 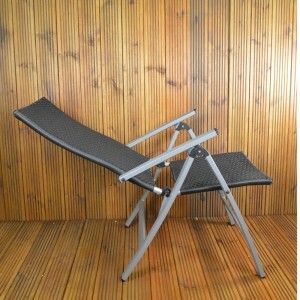 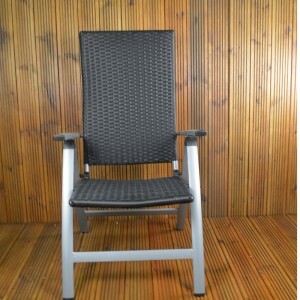 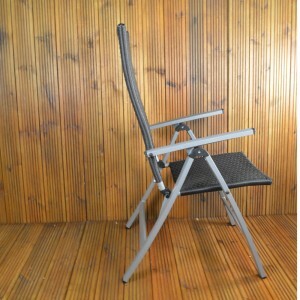 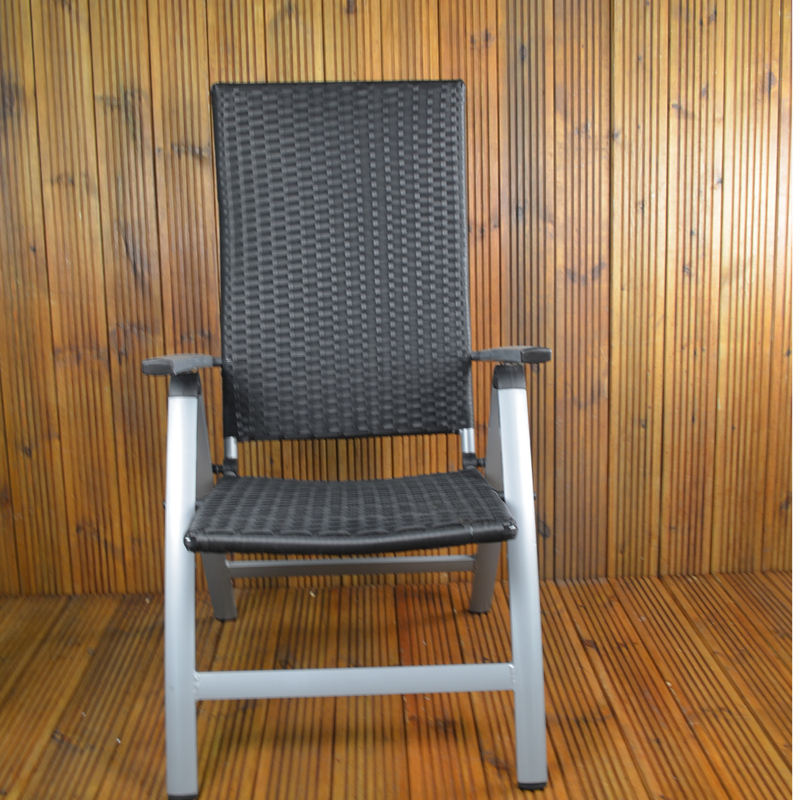 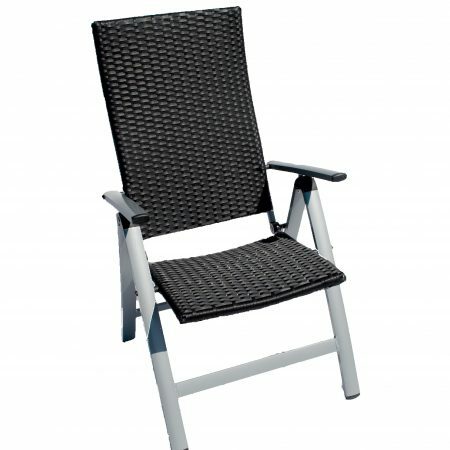 The Chair seat and back is black resin-weave wicker for a really comfortable chair. 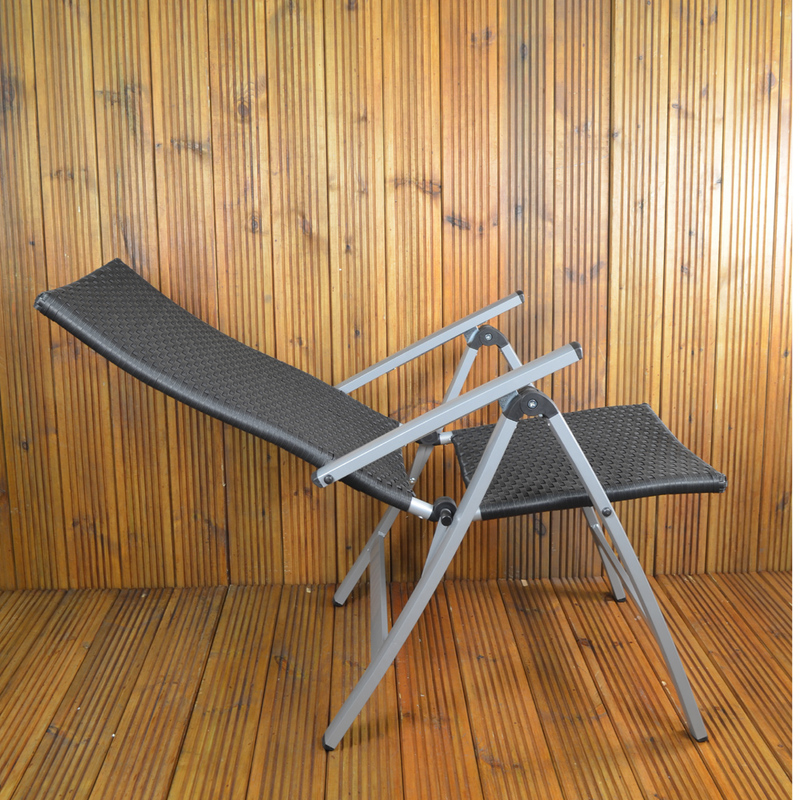 As well as reclining, so you can relax, the chair folds for easy storage. 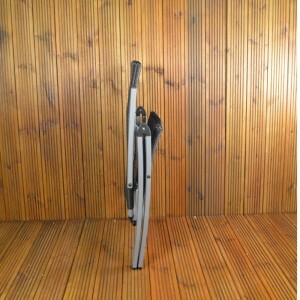 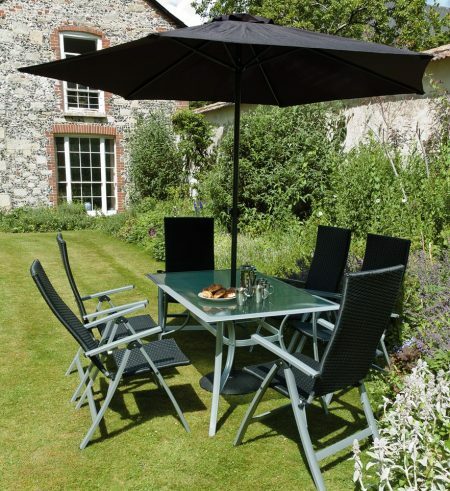 Included with this set is a 2.7m parasol on black and a concrete parasol base also in black.